Alex is co-founder and director of Documentary NZ Trust ("Doc Edge"). At Doc Edge, Alex has helped to drive the direction of the Trust and involved in the programmes delivered. He curates the programme for the festival and the Forum programme. He also helps select projects for Doc Pitch. He is the CEO of Good Pitch Pasifika which will be delivered over the next 5-7 years. 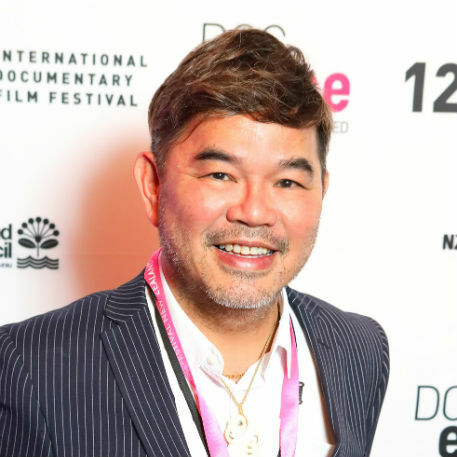 Alex is involved with other screen organisations including Asia NZ Film Foundation and is the Chair of Film Auckland, Auckland’s pan-screen industry leader. Doc Edge is an Academy Award qualifying festival for feature and short documentaries in both the NZ and international categories. Alex is a filmmaker who produces, directs and writes. He is passionate about story-telling and use of media to empower social change. Alex believes that the future of media is in cross-media which enables both practitioners and audiences to have a 360degree experience both in making and viewing media. One of Alex’s passions is to enrich our community with more ethnic stories and to enable our media to be more representative of the community and wider world we live in. Diversity is a key motivator.